Kate introduced me to them. Our SUV, loaded with ski gear, skidded over a snowy highway. We caught glimpses of powder covered peaks between wind blasts. I didn’t mind the weather—I enjoy winter driving so long as crazy people don’t hit me. Kate inserted a CD and I daydreamed. The music calmed me into a Zen-like trance, the keyboards, guitar and bass pulsing at each mile post. “Nice beat and lyrics, works with the scenery,” I said. Little did I know that ski trip would turn me into a Coldplay fan. I became a member of a worldwide club. I rarely buy albums though I appreciate great music. I played the saxophone as a kid and studied piano years ago but now just play the radio. My spectrum is eclectic, ranging from bluegrass, to ragtime, jam, jazz, blues, gospel, and classic rock. Thirty years ago I went through a country western phase and saw Willie Nelson perform. The thing about Willie is he looks the same now as he did in 1985. I don’t know if that’s a compliment to him now or an insult to him back then. Still, Willie put on a great show. My price point for music is more sensitive than a sun burn but I have willingly paid bucks to see the Nitty Gritty Dirt Band, New Grass Revival, and Leftover Salmon. One group I have yet to see, String Cheese Incident, is a cross between the Grateful Dead, Jimmy Buffet and Aerosmith. When Kate learned that Coldplay’s Head Full of Dreams Tour stopped in the Bay Area, four hours away, I knew we had to go. I’ve done bucket list trips with my parents and Coldplay was on my daughters’ list. I wanted to pay forward the experience. The mile hike from our hotel into Levi’s Stadium (San Francisco 49ers) buzzed with thousands of fans. We bunched into a crowd, showed our tickets, checked past security, and marched with the herd up several ramps of stairs. 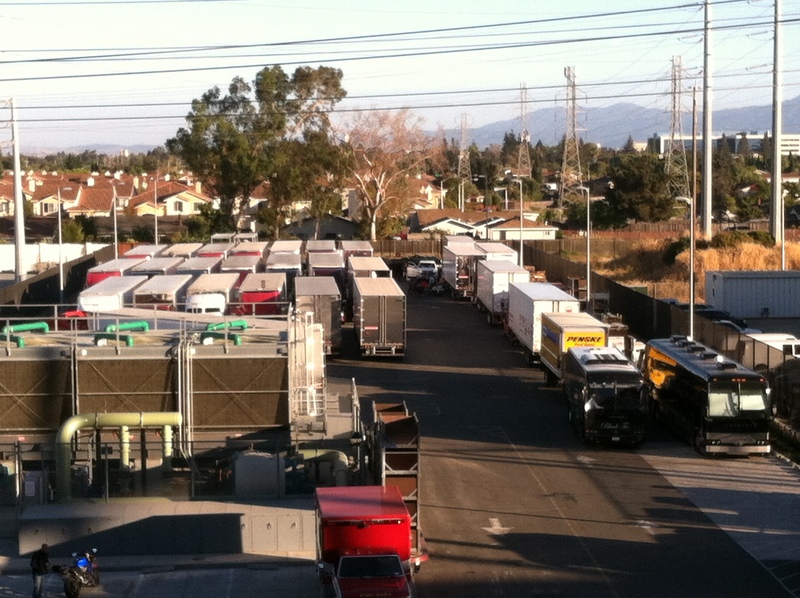 Outside the stadium were parked twenty semi-truck trailers, no doubt loaded with stage equipment. We wondered what we were in for. Fans swarmed inside the breezeway shopping for souvenirs. While my wife and kids hunted for shirts I hustled to our seats, on the first level at about the twenty yard line. 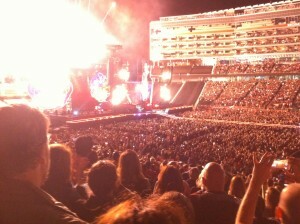 To our left the main stage, as wide as the football field, narrowed to a running lane towards the fifty yard line. Jumbo TVs, five stories high, framed the main stage. Thousands of chairs covered the stadium floor—seats priced beyond my pay grade. Above us, in the nose-bleed sections, fans continued climbing to their seats. Warm-up bands, Bishop Briggs and Alessia Cara, belted through their sets two hours before the main event. By intermission my wow factor already reached 9. “This ain’t no Willie Nelson concert,” I muttered. The four of us waited with baited breath as stadium lights dimmed and the preamble to Head Full of Dreams began. At least 50,000 fans, nearly half the population of our home town, sat with us. The only illuminations came from the stars above and 50,000 wrist bands worn by fans. Then…WHAM. Lights. Action. Fireworks boomed. Drums, guitar, and bass shook our seats. Lead singer Chris Martin bolted from the main stage to midfield. The guy sprinted the 50 in 4.8 seconds, faster than a 49er. The evening blurred as I stood and swayed with my family, and 50,000 others. The group played on, new songs and old, chatting with the audience in between. Among my favorites: Clocks, Yellow, Charlie Brown, The Scientist, A Sky Full of Stars, and Viva la Vida. Not only did they sing, they told stories interlaced with tributes to David Bowie, Gene Wilder, and Muhammad Ali. 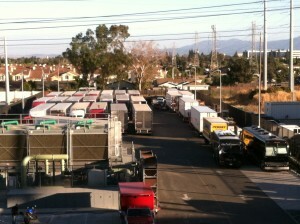 They moved around the stadium, joking and kidding with themselves and their fans. I didn’t feel like I was one of 50,000 but more like a guy clowning with friends in a gigantic back yard. They finished two hours later with Up and Up but I’m sure everyone wanted them to play on and on. 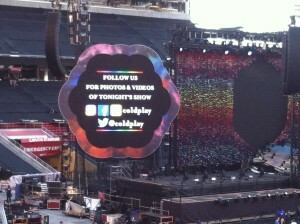 Visit any site featuring Coldplay and read the comments. Whether White, Black, Asian, Latino, Indian, Baby Boomer, Gen X, millennial, Coldplay connects with their listeners, English speaking or not. Their canvass is world-wide and transcends cultures, countries and continents–I bet they sway even Willie Nelson. Good show Coldplay. You filled part of our family’s bucket list. Viva la Vida…. live life.